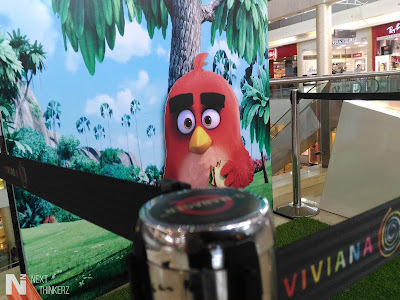 Viviana Mall Thane Review: XRCVC Centre and The Angry Birds Movie 4Dx Experience. 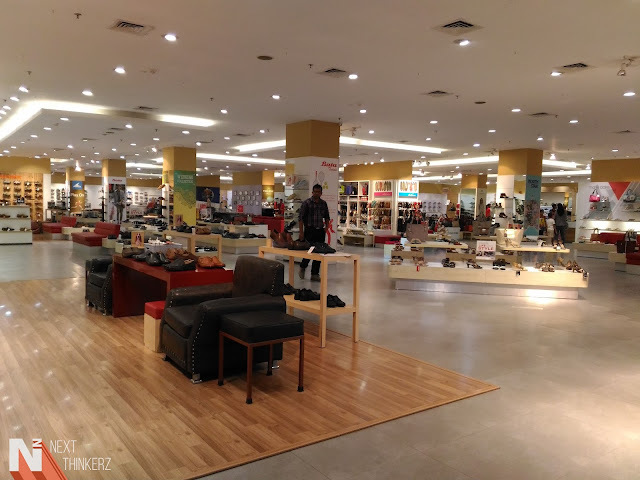 This past week I got a chance to explore Viviana Mall, Thane at my fullest potential since the officials gave me an opportunity to explore the entire mall at a never before seen phase. I got to experience the thrill of a 4-DX theater and drool over Mall's functionality to be compatible with almost every human being on this planet. So here's what I learned, in depth. So physically it covers about the 13-acre plot which is spread over an area of about one million sq ft. The Viviana Mall visually has all the top notch brands accommodated under one common roof, giving the customers a one stop destination to match all their shopping needs. The Mall not only focuses on Shopping, but it also accompanies various Food outlets which showcase the famous cuisines available. While joining that is the Entertainment section which is mainly focused on small games for kids and apart from that we've Cinepolis cinemas, which recently got a 4DX thrust added in their collection. It houses about 240 stores in total which have 19 large & mini individual anchor stores. Viviana Mall has three floors each consisting of prime retail and leisure space having shops like Shoppers Stop, Marks & Spencer, Lifestyle, Zara and many others which are the very first ones to be inaugurated in Thane or the eastern part of Mumbai. Then comes the foodie part, So the Mall also has Forever 21 which is again the first to be in Thane. Apart from that the mall also focuses on exotic brands such as United Café, Beer Café, Cream Center, Clarks, Inc. 5, Pepe Jeans, Gloria Jean’s Coffee, Tanishq, Charles & Keith, Hamleys, Being Human, US Polo Assn, Esbeda, Hidesign, etc. again for the first time in Mumbai. It can accommodate up to 1300+ people in total. As a matter of fact, Viviana Mall houses India's largest Bata Shop, which is spread over an area of about 20,000 sq ft. Whereas it has Mumbai's 2nd largest Starbucks outlet in the Mall. Then comes Cinepolis, the most popular feature set of the mall, It houses country's largest megaplex with the facility to deploy 70 shows in a day with a seating capacity of up to 2400 people. 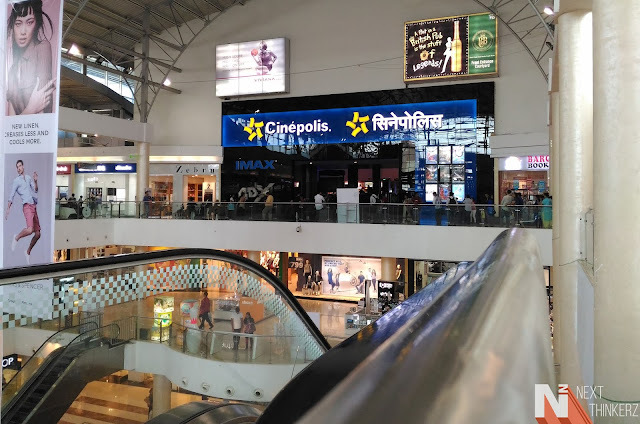 In fact due to its popularity, Viviana has even partnered with Cinepolis to bring India's first ever 4Dx Theatre, which provides you an immersive experience, as if you're at that very moment. Let's say if a scene from any movie has water, wind, motion, lightning, scent or fog, you would feel it live, a sudden breeze of water will be sprayed in the theater hall making that splash in the movie scene, Real. This makes enjoying the very moment in any movie, surreal. The most beautiful thing about this mall is that Even Blind people can navigate through this mall and recognize any shop's name just by Tapping & feel a unique tag which is placed strategically at certain locations at the beginning of every Individual store at the mall. 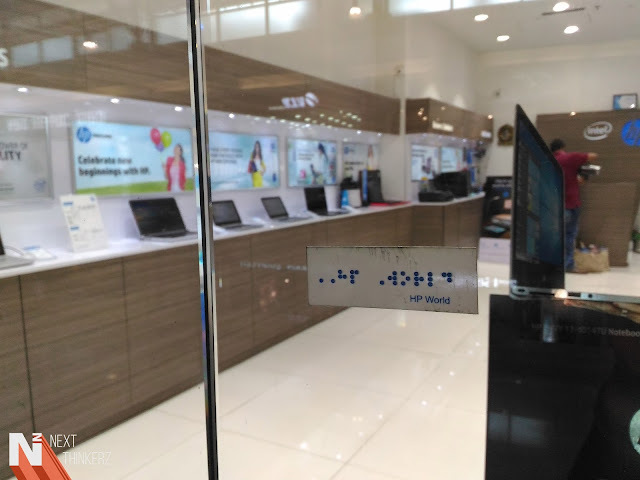 In fact, these labels also provide the information about, what exactly might be inside the store. 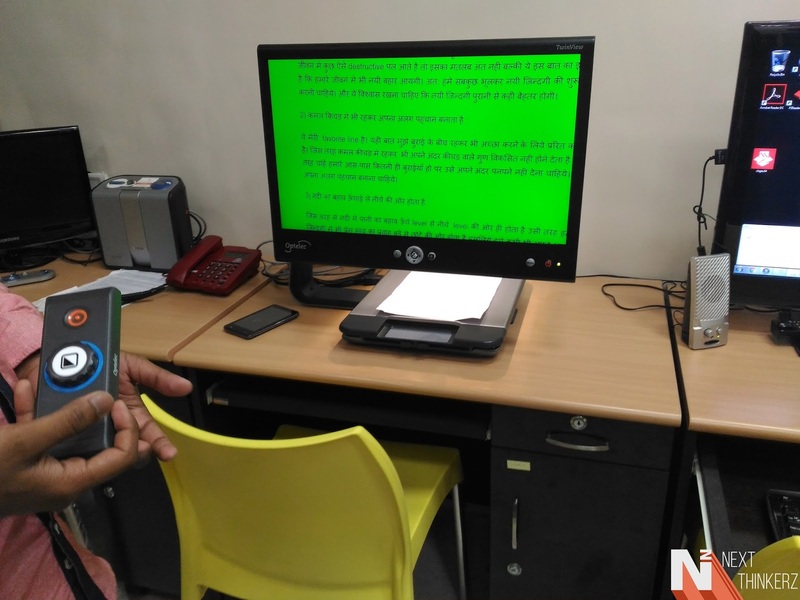 Thus, this is India's first ever mall to be entirely friendly with blind people. Such tags are also present in front of the food court, where blind people can take advantage of these Labels and quickly order something based upon their choice, isn't that marvelous? 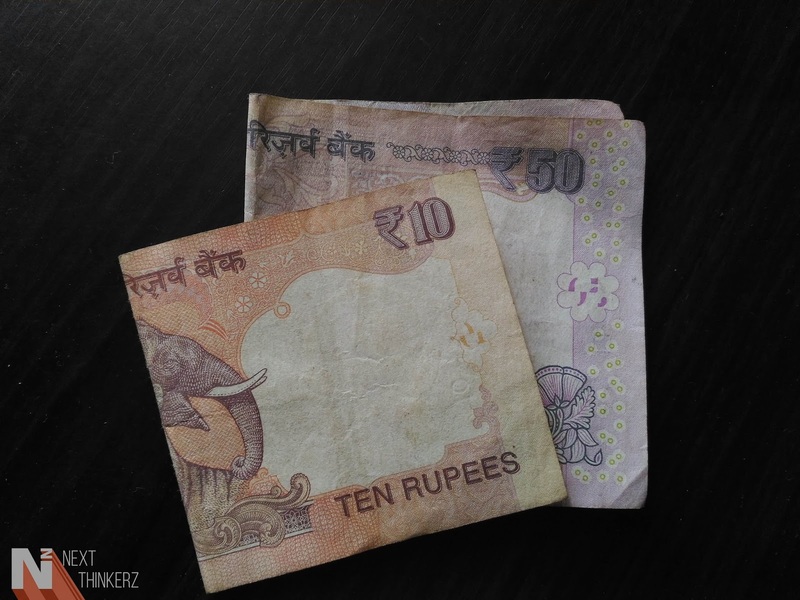 Special symbols are present on the notes in the end at centre part. There's also a dedicated section called XRCVC Viviana extension section, which has set of tools to provide education to blind, visually impaired people. It was fabulous to have a sneak peek of how they train such people and give them a better perspective on life, making them self-dependant. So Viviana Mall is not only ideal for showcasing stuff, but it also plays a vital role in nurturing people who are not so lucky. That was a heart filling moment & it was a great pleasure to witness it live. 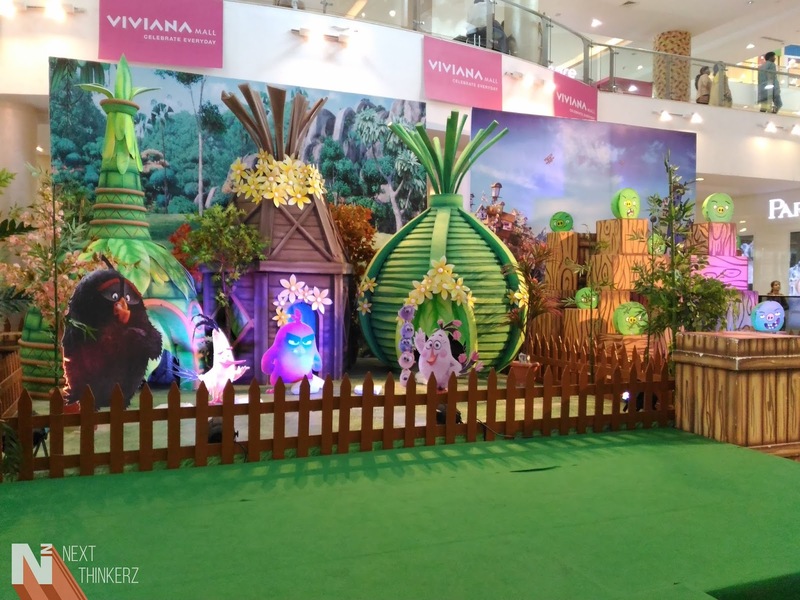 Apart from that Mall also features family entertainment section having Funcity located on the 2nd Floor of Viviana. This is that one stop that your toddlers would love, parents. The Mall was crowned with over ten awards in Indian Retail space. Recently it was awarded Gold Award at ICSC Annual Asia-Pacific Shopping Centre Awards 2014. Thus making it the only exclusive mall in India to bag this into its zone. The Angry Birds Movie: 4DX Experience. Viviana again had a tie up with Angry Birds movie, which helped them provide an experience to the customers which would be unforgettable. Because this time you're not only going to watch a movie, but you're going to witness it live in front of you. My 4Dx experience with this film was quite something, To be honest, this was the first time I've been in a 4Dx theater. So there was a constant smile on my face when there were water splashes, fog, speed ups or even slips in the movie by the character Red since accordingly I used to feel the same. The chairs used to move in 180° direction, You could feel the wind if there was a quick scene, you could feel the fog, and even the scent if there was any in the movie. Overall it was quite a 4Dx experience, But I didn't like the film, to be honest, it was like 60-70% of satisfaction for me. Don't judge me; I'm a huge anime movies fan & I don't miss any animated films. Visitors had a glimpse of the 3D hut of Character Red from the Movie(His house). The ground floor had a complete visual overhaul of the Birds Village during Pigs had invaded them. There was 2 Gaming Zone section for kids - ‘Hit the Pig’ & ‘Feed the Pig’. You were allowed to take selfies with Movie characters - Red, Chuck, and Bomb. That was during the Initial two days of Grand launch. Unfortunately, I couldn't be a part of this. 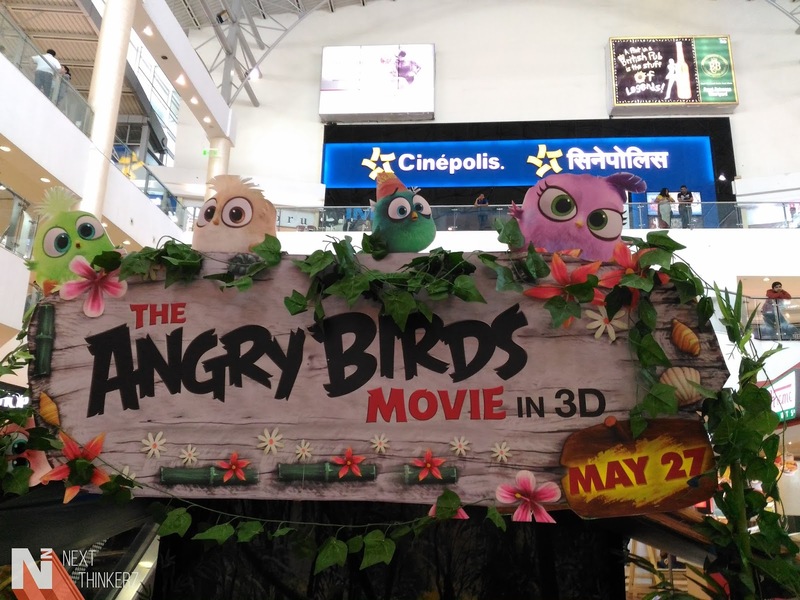 There were exclusive Angry Birds movie merchandise, Shopping/Food Court Vouchers & Mega Prizes available at the Mall, which were handed over to the Winners at the Mall. Overall it was nicely managed with well-equipped co-ordination, I had a blast at the Mall, and I'm quite sure you would too. I hope you enjoyed reading it If you did why don't you hit those Sharing buttons and share my experience with others? Also See: The Time when I met Sachin Tendulkar!